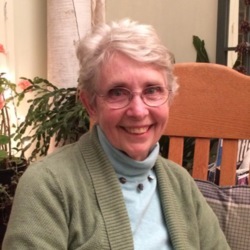 Jean Lyon is the co-owner and operator of the Lyoncher Bed and Breakfast located in Cooperstown, New York. She and her husband, Tom, have welcomed guests from all over the world to their home for twenty-three seasons. In this interview, Ms. Lyon recounts how she came to the area from New Zealand and how she embarked on a career in the hospitality industry despite having a degree in fine arts and a teaching certificate. In 1979, Ms. Lyon and her then husband purchased a motel on Otsego Lake about six miles from Cooperstown, New York. The family resided at the motel and enlisted the help of their three children to maintain the property and business. Shortly thereafter, Ms. Lyon and her then husband decided to divorce, leaving Ms. Lyon as the sole operator of the motel. Thankfully, friends in the area, as well as others in the local hospitality sector assisted and provided words of encouragement and advice. During the season, the motel was abuzz with guests, keeping Ms. Lyon and her three children very busy. But, that didn’t stop Ms. Lyon from becoming more involved with the community. She volunteered at The Farmers’ Museum and Fenimore Art Museum as an interpreter. Here, Ms. Lyon demonstrated open hearth cookery, folk dancing, and even quilting, a craft she still practices today. Her involvement at these museums is what brought her and Tom together. Tom was a teacher and had brought a school group to The Farmers’ Museum for a field trip. Her New Zealand accent gave Tom a reason to strike up a conversation and six months later the two wed at the museum. Eventually, Tom and Ms. Lyon decided to put the motel on the market and they purchased the house where Lyoncher is now, expecting it to be their personal home. After the sale and renovations of the home were underway, the two realized that the addition of a couple of bathrooms would make the place an ideal bed and breakfast and thus, Lyoncher was established. My interview with Jean Lyon, conducted at Lyoncher in Cooperstown, New York, revealed how people with various interests can get involved within the community and become successful business owners. Her recollections about her life in the United States, involvement in the community, and experiences in tourism highlight how diversity can exist in a small village in rural New York. 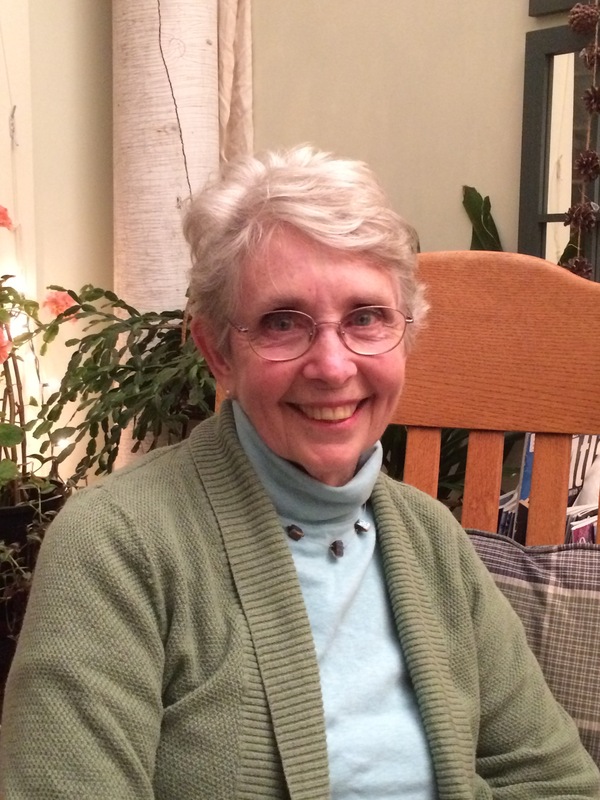 This is the November 19, 2017 interview of Jean Lyon by Beata Hlinka for the Cooperstown Graduate Program’s Research and Fieldwork course, recorded at 8 Eagle Street, Cooperstown, New York. Now Ms. Lyon, could you tell me what brought you to Cooperstown, New York from New Zealand. Yes, that’s quite a story. In New Zealand I married an American who had lived in New York State and his parents lived in the Butternut Valley. It was decided that, for various reasons, we would move to the States for a couple of years, so he could maybe do something to develop his journalistic type career. We would be around the American grandparents and that would be interesting for the children who at that stage, when we left, we had a four year old, a three year old, Pamela and Kathleen, and a babe in arms of three months, Benjamin. So, that’s what brought me here. And how did you enter the bed and breakfast industry? Oh, that happened much later in my life. It was decided years ago, back in ’79, which seems like the Dark Ages, that we would purchase one of the motels up on the lake, at Six Mile [Point]. A place called Hickory Grove Motor Inn. The dream was that we would run it as a summer place because we had children for labor. And then my husband would use the off-season to develop his various career intentions. So, we made the move up to the motel and very soon there was the divorce and I was there on my own with three, young teenage kids. I think Ben was 11, so the girls were then 14 and 15. After a year of living at the other end of the county, the kids and I moved full-time to the property at Six Mile. And here I am with a fine arts degree and a teacher's certificate and I am learning how to run a motel. I was very fortunate that there were other people in business on the Lake Road who helped me a lot and encouraged me that, even with the divorce happening, I could do this. Which I did for fifteen years. During those years, Tom Lyon came into our lives and he was there for ten [years]. And as he says, when we lost all our teenage laborers and we are continuing to do all the work ourselves, we decided to put the motel on the market. We needed to have a place in the village that we could move to whenever the sale happened. Being a seasonal business, that’s not always an easy thing to happen. We looked at two or three properties and this house was being run as a two family rental. There’s a very large apartment upstairs. And so we thought, “OK. We can keep running that as a two family rental until such time as the motel sold.” When that happened, the tenant and the apartment stayed. The tenant downstairs moved out, actually just across the back fence. When we started looking at all the rehab that needed to be done for somebody who was going to live here for maybe twenty years, it’s now twenty-three, I brightly said, “Well, if we do a bathroom here and a bathroom there then we can have a small B&B. And stay in that type of business.” Tom was teaching full-time at a school district down in the Hudson Valley and it took a good year for all the rehab and additions and replacements and everything that we did. Because we had had the experience of all those years at the motel, doing a small B&B was very much downsizing, but workable. Tell me how you and Tom met. Teaching! Whenever that question is up we both immediately say teaching. I was a winter teacher for winter workshops at The Farmers’ Museum and Fenimore in those days. Changes have happened since then. [Coughing] Excuse me. Soon after the divorce I heard that they needed teachers. I have a fiber background. My mom was a professional weaver and spun, so that gave me those skills. My father had been a scoutmaster for years and I’d learned a lot about cooking on open fires, so open hearth cookery was another thing that didn’t worry me at all. I was sometimes a ballroom dancer, so teaching folk dancing, and also having been a teacher of middle school kids for a few years, made all those things come together. I brought skills to that job and ended up working with Rabbit Goody specializing in open hearth cookery and with Pat Young and lots of other wonderful people at the Lippitt House. I taught blacksmithing, making nail hooks with the kids. I avoided teaching in the schoolhouse and I didn’t ever do anything in the pharmacy. But, I did processing of flax and wool and that workshop. I worked with Katie Boardman along the way, because I had been there ten winters. Katie Boardman came up with a workshop of folk singing about the canal and some simple folk dancing, which I found very interesting to teach because they were seventh graders and the genders did not want to touch each other, [laughing] which was so funny. I said [to them], “Well, you just have to hold hands and dance around.” So, that was another workshop. And then across the road at Fenimore, which was before the Thaw Collection and all those alterations that took place over there, I taught scherenschnitte and little bit of quilting. And reverse painting. I was fascinated by that. That was something I had not come across in my art education and that was an interesting thing we taught over there. For one of those workshops I was doing the introduction with a piece of equipment for hop harvesting and so I was talking to a whole school group that Tom had brought and at the end the kids went and divided into the different workshops that they would go to around the property and he came up asked me if I was from New Zealand, which, back in 1984, in this country, was real brownie points. It turned out that he and his father were going to New Zealand that summer and didn’t know anybody down there. They were going for thirty days; they were going to rent a camper van of some sort and he would drive around and they would somehow get some sense of what New Zealand was all about. At that time my father was planning on coming to visit me and so I said, “Well he’s been a traveler, both overseas and in New Zealand, he [my father] will help you even more than I can. I will have him bring his slides.” When that happened we had a dinner over at Tom’s dad’s house where he was living with his dad and Tom cooked dinner. We had the dinner and the slide show and the dads were sitting in the front room talking about the trip and we young things went into the kitchen to wash the dishes. So, we got to talking about our respective situations. We both had been on our own for three years and six months later we were married [laughing]. Between us we had five children who had to get the hang of what these silly, old fogeys were doing. The wedding had to happen in October when the motel was closed, the season was done, and it was the end of the first marking period for Tom. So, on the 28th of October [it was] eighty degrees and we got married in the church [at The Farmers’ Museum], which back then there used to be a pond that you might see in photos. The girls in the kitchen were so excited. We were the romance of the season that year and so Gwen [Miner] and the girls in the farmhouse were going to do mulled cider for all the guests after the ceremony. But, it was so hot that they only mulled part of the cider and we had fresh and mulled. There are photos of the guys standing around with their jackets over their shoulders. That’s my Farmers’ Museum story. And what is Tom’s role in helping you with Lyoncher? Everything. We are great partners. And he’s really impressive as a male person who doesn’t have any particular concern about gender roles. Of course he learned quite a bit at the motel and then when we came in here, usually he’s the one, when people leave in the morning, who strips the beds and gets the laundry going. Also does the vacuuming. Then I go around cleaning up the kitchen and the dining room. We are a great team. It really works. He’s been wonderful. Still is. Now are there any other organizations that help you run the business, such as for food prep or laundromat? No, no, no. The thing about a B&B is that you can be very individualistic. As far as food, there is a sort of a legend out there that if you go to a B&B you will have fancy linens and fancy toiletries and fancy food and here you don’t. You get nice toiletries, they’re British. It’s got to the point over the years that we just do very simple food and nobody goes away hungry. And that’s it. Now does that expectation for fancy items ever become a problem with your guests? No, it doesn’t and that’s very interesting because we’ve gone away from serving baked goods. I cook individual breakfasts, so some mornings I might have five different things that I’m doing. But, it’s a very small group of people; at the most five or six. And they don’t always do between eight and nine o’clock and they don't necessarily all come at the same time, so it’s very workable. And I’m doing the cooking in the kitchen and Tom’s checking on people’s needs and keeping the coffee pouring or the water for the tea, or whatever it is. So, we got to the point that when we had baked goods on the table people weren’t eating them. And I think it’s because of dietary needs. People are changing and those who are getting on in years realize that they shouldn’t be looking at all that sugar and white flour and all that luscious stuff. It must be two or three seasons since I have stopped doing any baking like that. Tell me more about the types of guests that come to Lyoncher. Where are they from? Everywhere. It is just amazing when people ask us that question. We’ve had people from Italy, from all the Scandinavian countries, from France, from Britain, from Japan, from Korea, Canada. I never thought to see if we’ve had somebody from every state, but a good number of the states. Sometimes people are coming for a wedding. This is a great place, a feature place to have a wedding and bring your guests to. Of course the Hall of Fame brings people and the baseball camp down [Cooperstown Dreams Park] the road brings people from all across the country. Of course they even have people from Hawaii and Alaska, too, every once in awhile. It really is very diverse. Just very diverse. Some people are coming because of the [Glimmerglass] opera. We have a lot of people who’ve been coming to us for three or four nights once the full operas that they do in repertory up there are open and into gear. We’ve been here for twenty-three seasons and they’ve been coming for twenty-one. And we did have somebody, two people, for a number of years who actually stayed with us at the motel before we came into town and did the B&B, so they just followed us when the house was fixed. They followed us here. Just all over, just amazing. Really interesting people. I don’t really have a bad, bad story. We’ve had some interesting stories. We had the policy once we started being concerned about water and water usage, you know here in the village we are paying for the water, and we will say to people that if there is anything you need laundered, meaning the towels, basically if you want fresh towels or fresh sheets, just put things in the shower base and we’ll take care of it. We said it to one family from the middle of the country, Indiana or somewhere like that, who had never been in a B&B before. We went into the bathroom to see if they had left anything and they had put all their own personal laundry, [laughing] you get little surprises. So we did it for them and didn’t tell them that we didn’t usually do that stuff. Now has any national event ever affected your guests and the number of guests that you receive, such as 9/11 or a drought or severe weather? The day of 9/11 there was a guest here who was probably in his 50s and he was a member of one of the older baseball teams that come and play tournaments at Doubleday Field. It was he who, at about nine o’clock, a little after, was watching TV and told me what was happening. And that really changed life for him because he worked for the government of New York State and he had to have known as we got more information about that event that he was losing people he knew. That was very hard. Then the poor fellow was stuck here because, I don’t know if you remember, but they closed all the bridges, they closed access onto the island, and he couldn’t get down there. He couldn’t get onto the island. So, he was here I think for a couple of days before he could get back down there. That was definitely a national event. And the other thing that brings people is the induction event every year. I would call that a national event. For many years now we have had the same three sets of people coming to the house, which is nice. The people we have in the apartments, we don’t see much of them. They are busy doing what they do and of course they are fully independent up there. And the two couples who are downstairs in the B&B spaces look forward to being with each other and catching up on their family stories and of course discussing baseball somewhere along the way. That has to happen. Yeah, I think those are the two things that quickly come to mind. Now with the baseball families, I’ve heard in the news about the accommodation laws. Has your business been affected by that? No. No. We’ve been doing the Dreamers as we call them. It’s interesting because now that word is used for something much more serious and significant, but we’ve been doing Dreams Park people since they opened the camp. I can’t remember when they started. The apartment is very appropriate for them because after the Day of Welcoming, they have three days where they have two games per day. And depending on the weather, their schedule can change for them. They are independent of us here on this side of the house, so a lot of the first games are at 8 or 8:30 in the morning. And everybody, all the parents, grandparents, the aunts, whoever, the siblings, have to be down there seeing every inch of the game, so they have great independence and they really appreciate that it’s quiet here on Eagle Street. There are parents who come who have been involved, particularly the mothers doing the laundry, getting the kids to the practice games, all that sort of things and supporting them, so they want to be down there. And being down there really takes up more of their days than they realize when they come here. We’ve already got a reservation for one week for a family next year, which surprised us, but that was nice. I know there’s a negative attitude in the village about the Dreamers and that’s in part because if you’re not involved in what we do and meeting these people one-on-one and really enjoying most of them, and bearing the anxiety with them when they're not winning games and all this stuff, they’re wonderful people. And you know so many of them come because someone has sold them on the concept that this is the last great tournament their twelve year old will be in for their little league career. That is not always the case. We enjoy them and the reason, I always say you have to think that a lot of these people live in densely populated cities, wherever it is, and they bring their metropolitan manners with them. Actually, we were just in Oakland, [California] recently and when you’re amongst densely populated people there’s a self-preservation behavior that goes on where you don’t smile at everyone you pass on the street, you don’t greet them. Life is getting on and they are what I call metropolitan manners. And there are a lot of village people who resent the fact that they can’t park, but hey you can’t park most of the time, not just the season. And those people are here focusing on what they're doing down at the park. They are not going to be making any relationships with village people who are not involved other than people like us or the restaurant people. That’s fine. There are other places they need to go for shopping and errands. And it’s a mixed blessing. That was a lovely farm. People went there in the summer for their corn, the spring for their strawberries, that sort of thing. And we lost that. That family still has the blueberry farm and that’s a pretty good thing. Going back to the mention of the metropolitan behaviors, have you noticed any other changes in family dynamics or diversity? I don’t think so. I think it’s been much the same every summer. They are here focusing on the camp and the games. That is their focus and getting to the Hall of Fame. Some of them are busy shopping and there are some smart shop people downtown who stock their stores with things that will be attractive not just to the baseball people, but to the siblings, particularly the teenage girls who have to come along and don’t want to go to the baseball games. We’ve seen stores change over the years because this our twenty-third season year, and thirty-seventh season counting both places. I don’t think there’s much change, but people don’t realize that from Thursday into Friday four to five thousand people are going to leave this area and four to five thousand people are going to come in. I remember having a Colorado guest a couple of years ago and I mentioned something about finding out what time they were arriving in Albany and then renting a car and then coming down and she thought that there were teams from Colorado on several of the flights that were coming from Denver to Albany that day. There’s that whole movement of people going on. There’s also a tremendous sort of housekeeping going on because of all the houses that are being rented or whatever is rented, and you’ll see more of the little, mini villages of cottages and camps people have built over the years. For the housekeeping people, guests are supposed to be out by a certain time, but then the new lot of people are arriving. I don’t know how early they are allowed to arrive, maybe four or five o'clock. I really don't know. It’s not so bad for us because it’s just another turnover of people in the house. We don’t add more. That’s why it’s good to have a small business. What other benefits do you see with having a small business? The flexibility. Particularly in the off-season. You know, we learned at the motel that you don't have as much flexibility, you’ve got to be open every day that you possibly can for the season and get what you can. Here in the off-season, whether it's the spring or into the fall, we’re seeing a very strong development of business in the fall. Once we get halfway through September, people are coming, coming for weddings. There are a few smart people who are in the village who are realizing that trying to plan a summer wedding in Cooperstown and how do they find lodging for their guests who are coming for maybe one night and there lots of properties that won’t take single night people on the weekends. We do. Some others don’t. It doesn't really change that much. And of course the weather we had this fall has been extraordinary, and we had a very extended, good season for half of September and into October and even into November. Then we went away ourselves. And spring isn’t very strong because there are cyclical things in this part of the country that people are doing in June. They are having weddings, putting in gardens, and getting ready for the summer. If it weren't for the camp we wouldn't probably get as much business in June as we do. What are the most important elements in running a successful bed and breakfast? It’s being flexible. It’s being hospitable. That’s really it and we both enjoy it. And we don’t have horror stories. We’ve had a minimum of theft. I remember somebody went out with a handful of magazines that she brought in and then I found out she had taken a particular Town and Country magazine that had had an article about Paul Kellogg, who at the time was the director of the opera. Well that magazine disappeared. That’s small stuff, but you know it’s a small house. We know what we have, when something isn’t there. And then the same thing at the motel. People would take the little garbage container or the guys would take the white hand towel out and clean their car with it. You know there are things like that, but here you trust people and they trust you. Theft is not something we even think about. People say, “You are opening your home!” But, it’s not the whole house. People enjoy what we have and what we do for them. You’ve got that relationship. And you can track people down. We have the number plate of the car, but we haven’t had to. Unless somebody, like a child, leaves his favorite cuddly blanket or a toy or those sorts of things and you contact the owner and then say, “OK. We’ll put it in the mail.” There are just things like that. And more and more now with the technologies. People leave their chargers and it’s almost got to the point that one of our departing comments when we are saying goodbye is, “Now have you got your chargers?” And we purposely kept it small. We had done the big stuff for fifteen years. This is very manageable. You know, people have family homes and have just as many people as we would have. In the summer we don’t do breakfast for the apartment people because they’ve got a fully equipped kitchen and particularly the Dreamers who are in for a week. It’s not hard to convince the mother that she has her own kitchen. It’s not super equipped, because I don’t want her to feel guilted into cooking meals. But, there’s enough there to do coffee and breakfast and that sort of thing, so that’s how that works. Do you believe that trust you were mentioning before is starting to disappear in today’s modern society when you compare it to other motels and bed and breakfasts in the area? It’s not something that you can compare, but I can’t imagine someone who’s doing a business like this doesn’t have the same experience that we have. There is that. Here we don’t even give out keys. And I love to watch people from New York City. Well this is the door you are going to come out of and we don’t give out keys because too many have people have lost them. We do have a couple of guests who actually presume to lock the door because they figure they’re the last ones into the house. We have to be careful about that because maybe there’s somebody else that we’re aware of and maybe they’re at a wedding at the Otesaga or something like that and they are going to come in later. But, we usually catch that sort of thing and keep an eye out. So, no I wouldn’t. We don’t talk about that sort of thing. When we meet at business meetings, “So, how’s the season?” That’s the opening statement. “Oh, it’s not so bad. We’re doing fine with this, whatever.” That’s the thing I say to people who like what they got here and have never been to a B&B before and obviously are encouraged to do it again. I say well don’t expect that anything you get there will be like what you got here. Because that’s the great thing about B&B’s. We’re individual homes and there are basic things we all do for the guests, but it’s going to be different in every one that you go to. And we have found that when we have gone to larger B&B’s you don’t meet the person who owns the property, so you don’t have that one-on-one contact. It’s just staff cooking the breakfast and I can remember going out to a B&B out on the Cape [Cod] where breakfast was little tables set for two and people were being very quiet and discreet. Here they come to the table and it’s in the middle of the room, that’s it! People introduce themselves to each other and it’s great as the conversation goes. Sometimes it’s opera at one side of the table and baseball on the other. And the connections that people find. I remember years ago a couple of young women from, they were off Central Park West, and it turned out that they were in apartments in the mid 80s in the west of the city. Their apartment buildings probably looked at each other. And they come from the big city up here in the country, so close to each other. Yeah, there are all sorts of coincidences like that. Tell more about being a woman business owner in Cooperstown. It’s not unusual. I mean every B&B has a wife or a manager who is probably a woman. I think the Cooper Inn might have. I really don’t know who’s managing there at the moment. This isn’t a big deal. It’s just something that people know that we do. An interesting thing is that here, because we are not on Chestnut Street where you might pick up somebody driving into town looking for a room, when we opened up here there was already a B&B a couple of houses down the road and her sign by the door was not any bigger than that magazine. That was her sign because they are looking for you because you’ve already made a reservation and made a deposit and given directions to find the place. So, when we went to the village about doing a sign, we didn’t need a stand up sign. In fact the sign that I made, which is made from the foot of a bed, doesn’t even say B&B. It just says Lyoncher. Once in awhile we’ll get somebody at the door who has not reserved. And maybe they’re looking for something next year. In fact, I was just talking to somebody in town who has a daughter who wants to do a wedding in August. She knows, because she lives a couple of blocks away, how crazy the town is in August and is trying to convince her daughter to think about September. And I said, “Well, that’s not a bad idea.” We decided that she should suggest to her daughter to go to the Chamber’s site and go through all the properties that she wanted to talk to and find out who still had availability in August. Because our opera people are already pre-booked. They often are now since they’re so keen to make sure. They look at the performance schedule and make sure they can get their tickets and then make sure they can get their housing. So, those two things need to gel. So you know, good luck. I might be talking to her mother again, but we were at the voting thing yesterday and trying to work out how to convince her daughter that August is really not the best month. You know, half of your guests are coming from out of town. That’s a lot of people to find housing for, so that sort of challenge goes on. I hear that from somebody local, I’ve heard it a few times. Over the years that we have worked at the motel, the peak weekend, the demand weekend, was that middle of August weekend, which is like the 14th or 15th. Madison Bouckville antique thing is going on, the races are going on up in Saratoga, there are just so many summer events across the state that are sopping up the lodging. You hear that somebody local is having a wedding. Well, good luck. Now earlier you were mentioning about voting and the Chamber of Commerce. And you mentioned holding office in the past? I was the president way back. Tell me more about that experience. I was foolish enough to agree the year before to be a vice president and then was pretty shocked that that meant the next year I had to take on the presidency. [Laughing] So, I did. There are still people in town who were involved with the Chamber [of Commerce] back then, but you do what you have to do. And we had good staff in the office. You have people who do things for you and keep track of things, tell you what to do. That’s a good thing, too. What challenges did you see as this new town official? I guess I didn’t see it that way. It was just a job that had to be done. I suppose I was a town official. I was living six miles up the lake. I wasn’t in the village, so I wasn’t so aware of that sort of description of what I was doing. It was just part of being in business and helping out with the Chamber. How many people were on your staff? There were a couple. A woman in the office and there were people who came and volunteered at the desk. Paid staff was one, I think. They took care of all that sort of thing. My job was more the organizing of monthly meetings and things to do with any special events that the Chamber was involved in, which I did from the business. I wasn’t in the office very much at all. And you mentioned that you have three children. What do they think of your bed and breakfast ventures? That’s just mum. They already lived at the motel and then when Tom came into our family his two children helped us at different times to work at the motel. What we always found interesting is that they went off and did other things. They all worked waiting tables, my son was a bar person out on the Cape for about ten seasons. It was just what we did. They were there on a daily business up at the motel and so when we bought this house we didn’t even think B&B, we just thought, “Oh we’ve got to do a lot of rehab and make it more livable for ourselves.” It had been a two family rental for many, many years, and when somebody doesn’t live in a property, they don’t put the money into replacement that you would if you were actually living in it. So, there were a lot of things that we had to redo. It was only in the process of doing, which took about a year, that I said, “Well Tom, what if we did a couple of bathrooms? We could have a small B&B.” And that’s how it came about. We didn’t buy the house to do a B&B. It was a big house that was a two family rental that was good money to pay for itself until such time as we could sell the motel and move in. And that was it. Do you have any plans for the next step? Will you always be at Lyoncher or Cooperstown? We don’t know. We don’t know. I think we’ll just keep doing it until some circumstance means we are not going to do it anymore. I think so long as we are well enough and have enough energy, and those are two things that you need definitely. There isn’t a plan or retirement date by any means. Though sometimes I’m asked that from people in the family and well we’ve got through this season and are looking into next season. And of course you may well have heard that there is going to be a booming season and induction in 2020 because Derek Jeter from the Yankees is being, or definitely will be, inducted. That’s going to be a zoo and I’ll be happy when we get through it because there’s going to be thousands of people here. We’ve already had one of those big weekends and the thing is that it doesn’t change what we do. We don’t have any more guests. We’ve had several guests for induction who keep coming back year after year. So, that’s nice. It’s just like old time day when they turn up. And they know each other. I don’t think they have much to do with each other. I know that there’s a couple from Jersey, well, two couples from Jersey, and one from Philadelphia area. And they’re all happy to talk and chat and catch up at the table and catch up with what’s going on in their lives and their families and that sort of thing. Maybe they’ll still be around. I don’t know. It’ll be our health that would determine that we don’t do it anymore. But, Tom’s busy working for the State University in Oneonta supervising students. He’s been to two schools today. He’s been to Schenevus, came home from there for a couple of hours, then went to Unadilla Valley. He’s doing reports on the lessons he has seen today. Now you talked about the induction ceremony and also your volunteer work with the opera. Can you describe any tensions those two organizations feel towards each other? They don’t want to have their big events on the same date. Last year, the Hall of Fame published that it was going to be induction for a particular weekend and then there were some things that came about that meant that they had to change it. The opera had already planned their schedule based on what was written in whatever it was written and then whoops; this other change came and they had to re-ticket people, re-book people, reprint things. They don’t want that to happen again. And that sort of thing can happen. I know years ago, there are two colleges in Oneonta, and it was one of those of graduation weekends. They both scheduled their graduations on the same weekend. You know Oneonta is only so big and can only deal with only one college full of graduations and everything else. The restaurants, the lodging, everything else. They won’t ever do that again. You’re very careful about scheduling those sorts of things. In fact, the director at the opera [Francesca Zambello], in an effort to keep the opera alive, is doing a lot of things to connect up with other institutions. She’ll be doing something. Maybe some performance will happen in the Hall of Fame with the young artists. And there’s that sort of thing. Or at Fenimore they might have looked at what our schedule is and they’ll borrow costumes from the Metropolitan [Opera] related to that particular opera. There’s a room upstairs at the back where they’ll show these really interesting, older costumes from the Metropolitan. These inter-institution connections have really improved over the years. That’s really been a good thing. They all talk to each other and do what they can to promote each other. Why did the opera here in Cooperstown and Glimmerglass decide to branch out and network with other institutions? Because it’s a healthy way to survive in a small area like this. I’m only an usher. I don’t really know. The Hall is a mecca, but the opera is a mecca of a different sort. There is one couple that comes for induction that usually tries to go to an opera. And one year up at the motel we had [the critic] Bernard Holland stay with us and he was here for the opera. And I said, “So sorry you have to be dealing with all that is going on at the induction,” and he said, “Oh, you don’t know that my other love is baseball.” So yeah, he brought his job to his favorite game. There’s a lot of awareness. That’s what you’re learning about in your museum studies. They’re not piggy-backing, but connecting with each other, Hyde Hall is now significant and is doing a lot of things at that end of the lake, to make a visitor aware. We’ll get so many visitors in a season who come for one night and they realize they should have come for two because they discover all these other things. There’s the brewery tour. There’s things going on at Ommegang. Out and about there’s just so many things. It sounds very vague, but you know what I mean. And one night isn’t enough. That happens quite a bit. People might have gone online and maybe they just didn’t do their homework. So many visitors who have not been here before don’t realize it is a village and we are in the country. Yes, the Hall of Fame is on Main Street and no it doesn’t have any parking, which is because when it was started there in 1939, who knew? The building next door that’s now the offices, that was a gymnasium. That was the Clark Gymnasium. It was a different time in the life of the village when that baseball started. Everything’s grown since then. And different ways. Describe to me any other changes you have seen during your time here in Cooperstown that are as big as the Baseball Hall of Fame. Well the opera. It can only grow to a certain extent. It’s done the four productions every season. I think in the early days of the house I don’t think we were doing production in repertory. I don’t remember exactly. But, that’s what brings a lot of people because a lot of our returning guests who come for the opera, it’s Glimmerglass. They go to the Met or they go to the Lyric in Chicago or they go out to Santa Fe or wherever, but they come because it’s Glimmerglass and there’s an aspect of Glimmerglass that’s doing things in a fresh way. That’s putting it mildly sometimes. People are interested in seeing what Glimmerglass is going to do with maybe a very popular, older opera. It’s not going to be traditional. It’s exciting. I love all those artistic, creative people, there are only twenty or so of them, twenty to thirty of them for the winter. Once we get going, over three hundred people I think are working in different ways. The young artist program and the opera has six different properties that somebody has to maintain and do things like pay for and things like that. And they’re all over the place. It’s fun. Tell me more about the opera house taking place and putting a modern spin to it. Being more artistic. Do you have any examples that come to mind? No. Not a piano, a harpsichord. And so some interesting early instruments. There are bows with their long necks sticking out. I remember one year we had a conductor from New York City who took the job of being the conductor for an opera here for the summer because she knew that we didn’t do any mic’ing. And we didn’t do any electrification of the orchestra and she was becoming so accustomed to both of these things in her work that she wanted the experience of working on an opera for the season that didn’t have mic’ing and didn’t have electrification. She had a full orchestra of forty-two or whatever it was and she really enjoyed that. It gave her a break from the sort of work that conducting was becoming. You know, it’s money. It’s money and who you can pay for and that sort of thing. That’s a big thing here. Francesca [Zambello] works very hard at pulling in money. And she has no, I love it, she has no qualms about saying that this is what we need. She comes up before most of the performances and introduces herself to the audience and tells them about something that’s coming up on the program that people should be looking forward to and getting their friends to buy the tickets and I love it. And she’ll come at intermission and she’ll walk up to people and talk to them and find something out about them. And she remembers people! Just amazing. She’s got a great mind and she’s a really interesting, creative person. So, that’s exciting, too. Well, it looks like we are at time, so thank you so much, Ms. Lyon. On behalf of myself, and Cooperstown Graduate Program, and CGP Community Stories, we greatly appreciate you sharing your history about the area with us. Beata Hlinka, “Jean Lyon, November 19, 2017,” CGP Community Stories, accessed April 25, 2019, http://cgpcommunitystories.org/items/show/332.